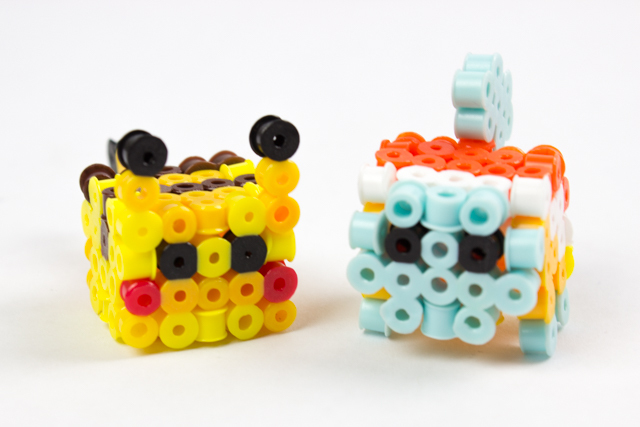 If you are OBSESSED with Pokemon then you gotta check out today's awesome Pokemon Craft. Yup. 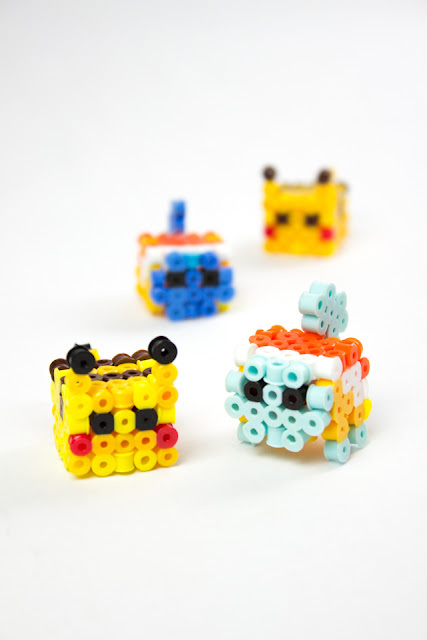 We made a 3D perler bead Pikachu AND Squirtle. 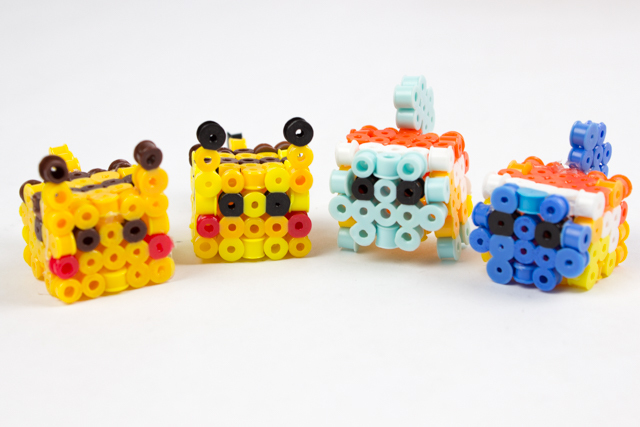 They're like little adorable puzzle cubes of fun. Swoon, craft-loving friends, swoon! 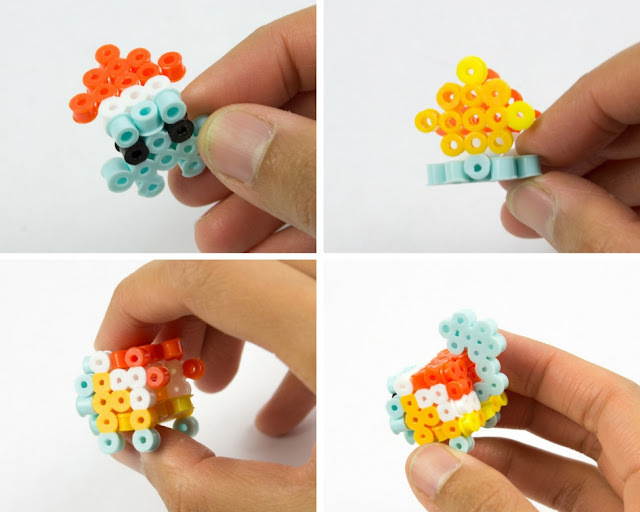 3D Perler Bead Pokemon Creations! This post contains affiliate links. Thank you for the grocery money! For my full disclosure policy, click here. 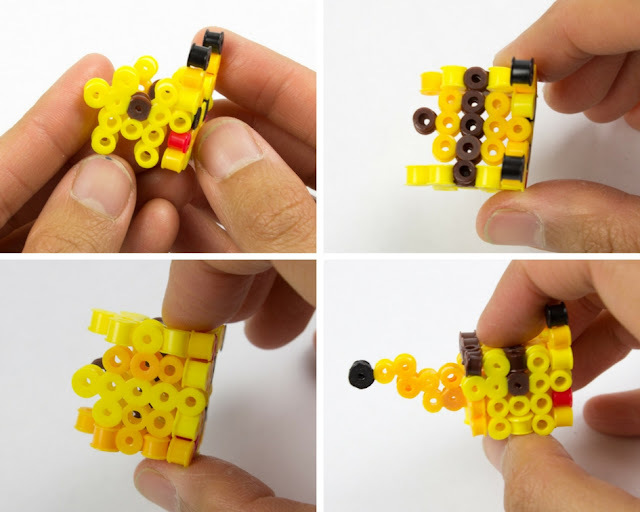 My son found this Pikachu Pattern here first and after making several versions of it, we were hooked. I give full credit to the website for the design, so check it out for the exact pieces. Here's how we put the pieces together. 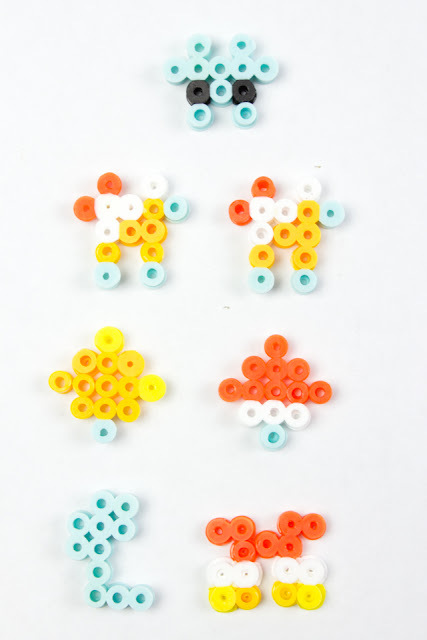 Here are some photos of how to put the pieces together. 1. Make sure the pieces are securely ironed together before you start popping pieces together. It's always heartbreaking when beads fall off while you're actually building the Pokemon. 4. 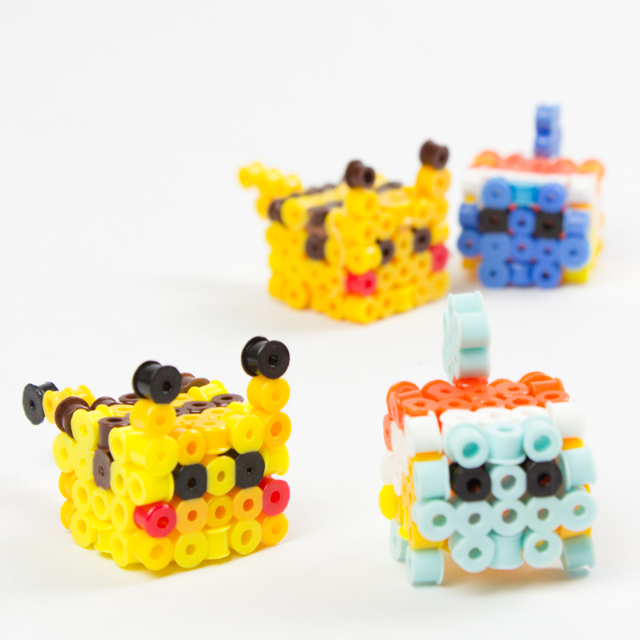 Personally, I find these little cube creatures adorable. But if you'e creeped out by their black eyes, just stick a bird on it. (Ha! Just kidding. Portlandia fans unite!) Forget the feathered friend. Just hot glue on Small Googly Eyes instead. They make everything cute. "Gotta Make them all, Pokemon!" Psst- Let the Pikachu love continue with this Origami Pikachu (and Yoda) craft! Hyper Colorful Painted Paper Plate Flowers! How to Make Colorful and fun, flying paper plate dragons! (c)PinkStripeySocks- Please use one photo and link back to the post when sharing. Simple theme. Powered by Blogger.